Happy birthday to Mr. Tom Dumont! Hello! Urban Decay sent out an e-mail today, with a link to a sneak-peak of Gwen’s lipsticks and liners! The names of the lipstick colors are: Phone Call, Ex-Girlfriend, 714, Spiderweb, Plaid, Firebird, Rock Steady, and Wonderland. They’ll be available on the UD web site on January 12! Hello! Adrian attended Music for Relief’s 10th anniversary celebration last night in Los Angeles, and he joined Linkin Part on stage for a couple of songs! Hello! 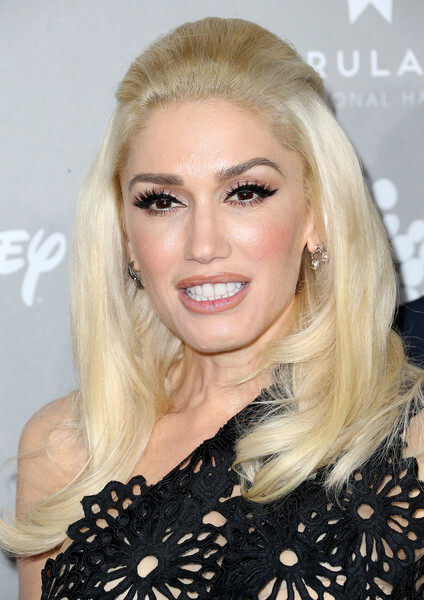 Gwen attended the 2015 Baby2Baby Gala last night in Culver, City, CA. The Gala was presented by MarulaOil & Kayne Capital Advisors Foundation, honoring Kerry Washington. Her brother Todd, and sister-in-law Jennifer also attended! Gwen posted a few photos to her Instagram page, as well. Hello! 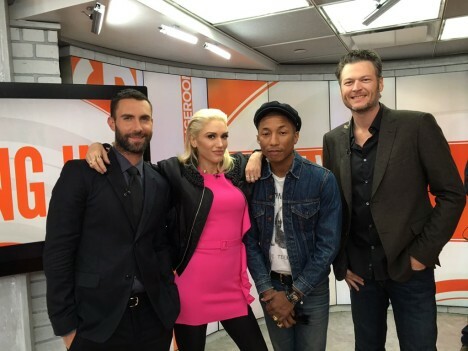 The Today show has posted video of their interview with the Voice coaches this morning. They sort of put Gwen on the spot with a question about the meaning of “Used To Love You”, but she handles it gracefully. Hello! Ellen has already posted video of Gwen’s performance of “Used To Love You”, which just aired on TV! Check it out! Notice Gabe, and Steve in the background! Such a wonderful performance. Ellen mentions that Gwen is going to be back on the show soon. Gwen to perform on the Ellen show Monday! 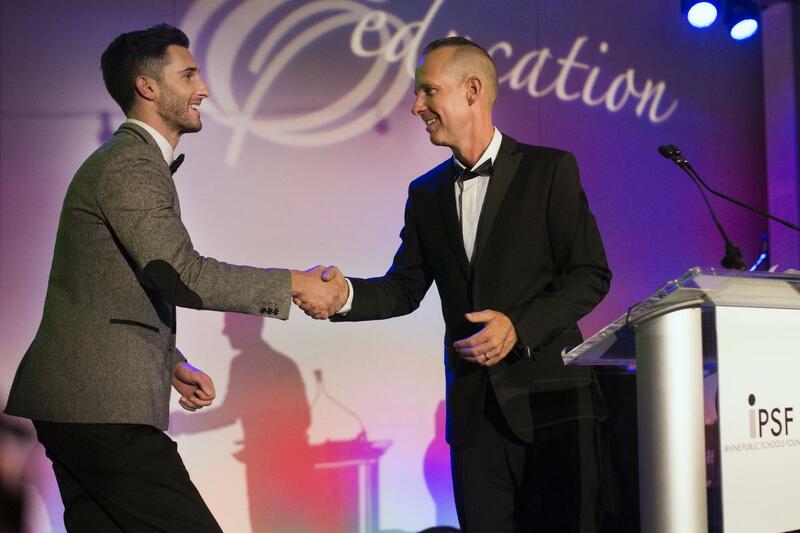 “The sixth annual Irvine Public Schools Foundation gala and auction Saturday raised more than $425,000 for Irvine schools. More than 350 community leaders, parents, educators and others attended the event, held at Kia Motors headquarters in Irvine, in support of the Irvine Unified School District. The black-tie event kicked off at 5:30 p.m. with a red carpet arrival, followed by a cocktail reception and silent auction. 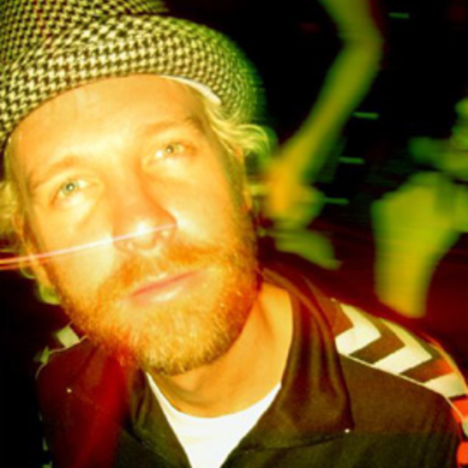 During dinner, Tom Dumont, the No Doubt guitarist who graduated from Woodbridge High in 1986, was recognized with the Spirit of Excellence in Music award. Two other No Doubt members, Tony Kanal and drummer Adrian Young, surprised Dumont by attending the gala and presenting him with the award. IPSF – 2015 Honoree Tom Dumont from Irvine Public Schools Foundation on Vimeo. They also uploaded a video of Adrian and Tony presenting him with the award! Tom was surprised that they were there. Congratulations, Tom! 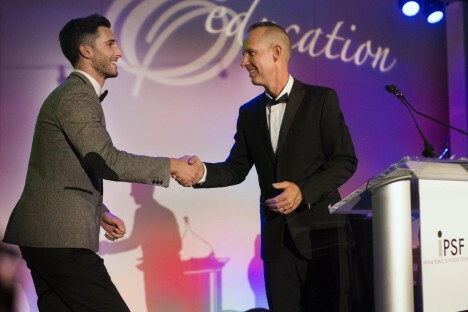 IPSF 2015 Spirit of Excellence Gala – Tony Kanal & Adrian Young from Irvine Public Schools Foundation on Vimeo.